Encroachment Permits are required anytime a person wishes to encroach upon a city right-of-way, sidewalk, street or easement. The permit assures the City that property will not be damaged and if so, that proper repairs are made. 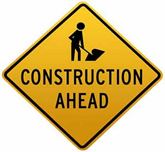 Utility Installations including water, sewer, storm drain, fiber optics, telephone, cable, conduits, etc. Why is an Encroachment Permit needed? The purpose of an Encroachment Permit is to ensure the safety of the community during construction work in the public right-of-way as well as making sure the work meets city standards and protects existing city infrastructure and facilities. 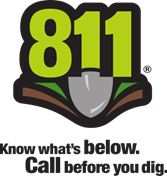 Note: Remember to call 811 before you dig.